I have some fun and exciting news to share! If you've followed this blog or my Instagram account, you have probably noticed my love for ASICS. 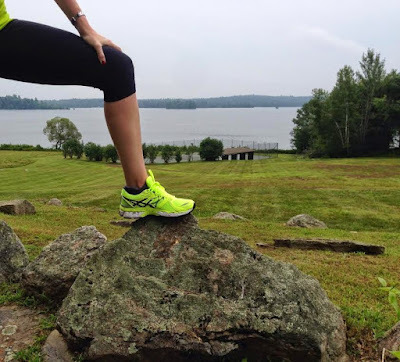 Now that love has become an official partnership for myself and 14 other bloggers; I AM AN ASICS AMBASSADOR! This is such a great opportunity, where the 15 of us will take part of many exciting opportunities, spreading the word about the ASICS brand. We will be your go to source for shoe releases, races, contests and other fun stuff over the next year. You can also shop for your favorite ASICS shoes and apparel from my website by clicking the "shop" button! My very first pair of running shoes were ASICS Nimbus 12. My best friend Keri started running a few years before I laced up and she wore ASICS Gel Kayano's. When I got fitted for shoes, Nimbus was one of the three that were suggested and I happily joined the ASICS family. This was pre-blog, pre-marathon, pre-social media. I literally bought the Nimbus because Keri wore ASICS and swore by them. I would have never believed anyone that this opportunity would come knocking on my door 4 years later. In 2014, I received a message on twitter from ASICS asking if I wanted to try out a pair of shoes to review. That was a no-brainer and happily accepted the Gel Nimbus 16. A month after my review, I received an email from ASICS asking if I would like to be considered to run the 2014 NYC Marathon as part of the ASICS blogger challenge. It was one of those "they like me, they really like me" moments. When I became one of the 5 selected bloggers to take part of this challenge, I literally ran laps around my house in excitement. It was such an amazing journey, I took home great memories and friends for life. Since that magical weekend in November, I became ASICS loyal, only wearing their shoes and apparel. I have written countless posts about ASICS without being prompted by their PR department because I love the brand that much. I will be the first to tell you, I am not a fast runner. It fascinated me that a company like ASICS would want to work with me. That is when I realized that ASICS cares more about loyal fans than about how fast a social influencer can run. Because of that, I truly love them. ASICS is truly a brand I am 100% committed to promoting. 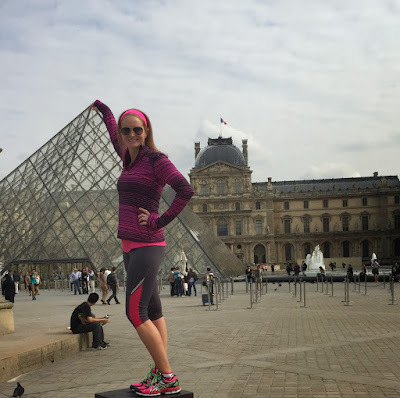 When we went to Europe last year, the only athletic apparel I brought w me was ASICS and I have tons of photos like the one below where I am head to toe in their gear. Speaking of Europe.....a few months ago, the magic of the leprechaun knocked on my door (or my email account). "Would you have any interest in running the Dublin Marathon with ASICS?" I nearly fell out of my seat. We leave in 3 weeks for Ireland and I CANNOT WAIT! 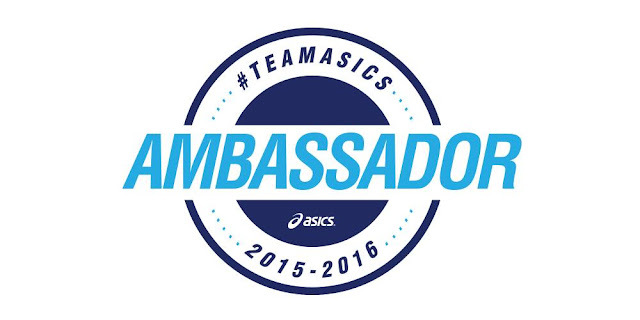 Meet the 2015-2016 ASICS Ambassador team! I have so many real life friends on this team and looking forward to meeting the rest! I can't wait to experience this journey with these fellow bloggers. Go give them a visit and say hi! Congrats! I will watch to see how you do. Run well. DUBLIN?! Now that is AMAZING!!!! So happy to be on another team with you! You rock! And yes the Nimbus are just perfection! So excited!!! You can be my Nimbus twin :) I've officially lost track of how many teams we belong on together! !